I started a new job this week, which is an excuse for a treat yo’self moment if ever there was one. 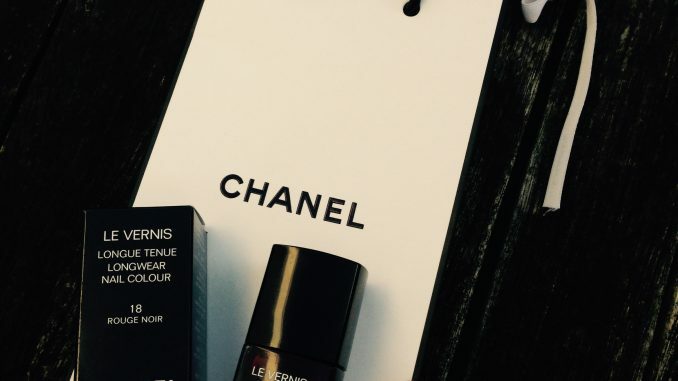 That’s why I scooted straight down to the Chanel counter in search of their classic nail polish shade, Rouge Noir. Actually, that’s a lie. Before I got there, I did a loop of the beauty department in search of a dupe for Rouge Noir. They were all rubbish. Only the original black/red shade, as seen on Uma Thurman’s fingernails in Pulp Fiction, would do. In truth I had been put off Chanel nail polish years before. I bought a lovely muddy brown shade there called Chanel Madness. It made me laugh if anybody ever asked what it was and I could shriek Madness! Anyway, Madness was not a hit with me. (At least not the nail polish version. Regular madness I like a lot). It chipped pretty much as soon as I put it on. On consulting the little people who live in my internets, it turns out that this is a known issue with Chanel nail polish. Despite the high price tag, it chips easily. So that’s why I was initially reluctant to stump up for proper Rouge Noir. 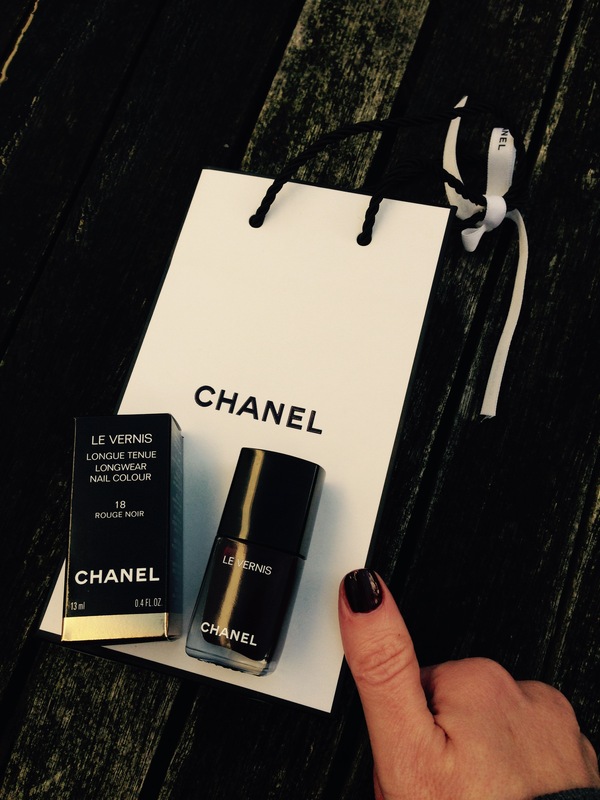 However, I had heard that Chanel have improved their nail polish formulation. I guess even they knew they were taking the mickey by charging the best part of twenty quid for a polish that barely lasted the day. Some of the shades are still the old version, but if you look for any that are marked as Longwear then this is the new formula. I’m pleased to report that the new improved Longwear Chanel Rouge Noir is indeed a quality product. My only niggle is that the brush is a little on the skinny side. I would prefer a wider, flatter brush like Essie do. But all in all it does what you want nail polish to do, which is stay on your nails for several days without chipping. Be sure to use a base coat for maximum staying power – I’m using Nails Inc’s NailKale base coat. What’s more, Rouge Noir doesn’t stain the nails when you take it off either. Hurrah for new improved formulae. Now Uma, pass me my gun, there’s work to be done.